This might be your very first time listening to The Podcasters’ Studio and if so, you’re starting in the right place! This episode will talk you through the entire process of getting a podcast started. If this is not your first time, welcome back! So, this is podcasting 101, the steps you need to know to go from wanting to start your own podcast, to seeing your first episode in iTunes/Apple Podcasts, we’re actually in the midst of a naming transition for Apple, iTunes and Podcasts so I’ll refer to both. I’m going to walk you through the basics of getting a podcast started, this will be the extreme 101 version. And if you’ve been a regular listener to The Podcasters’ Studio, you’ll know this as my every 50 episodes Back to Basics refresh. How nice that it falls on episode 101, totally appropriate. Watch the accompanying Video Series. New videos coming soon! Subscribe. – best practices but it’s not for me to say or decide what a good podcast is, that’s the point of podcasting, it’s open to anyone and it’s up to you and your audience, there’s nobody to tell you you can’t. No permission needed. • Naming your Podcast – what are you going to call it?? • The Format of your podcast – will it be just you or will you have a co-host or interviewees, how about audio vs video? yes video is podcasting too but since most of you will want and should start with an audio only podcast, that is what the focus of this episode will be. If you decide video is where you want to go, I’ll point you to a special resource for that. • Software – this includes audio editing, post processing, creating graphics etc. • Hosting audio – where do you put it online so people can get it? Before we begin going through those steps, I have to preface this with one brutally honest truth, podcasting is hard… and that’s not a bad thing in my opinion. In fact, I think, anything done well is hard work except this is the kind of hard work that you enjoy. You’ll enjoy prepping for your podcast, recording your podcast, publishing your podcast and promoting your podcast and then doing it all over again the next week. That’s not easy week after week or whatever schedule you setup for your podcast but you’ll keep doing it if you love the topic you are talking about. But podcasting is hard work, it’s not a game of fast results, it’s a labor of love that has many returns and in some cases, after putting in the hard work, those returns can be monetary if that is one of the goals for your podcast. I emphasize ONE of the goals because even if you want to monetize, money can’t be the only motivation. For those of you who aren’t in it to make money, you already have the ingredients to succeed which in our case, means to keep publishing episodes over a sustained period of time. And to be even harsher, as it pertains to this specific episode, I actually don’t care what your podcast is about. nor do I don’t care why you are starting a podcast. That sounds mean but it’s because the one thing I want to accomplish with this episode and the one thing I care about right now, is getting you started. getting your first episode published no matter what your podcast is about or why you are doing it. Because if you don’t start, you don’t have a podcast that I can care about. And the truth is, I do care. that’s why I have The Podcasters’ Studio, to share and help other podcasters. There’s literally hundreds of hours of me caring about your podcast at TPS.com and that’s the place you’ll want to go after you finish here… after you get started. Start your podcast and then you can grow as you go but don’t let the thousands of things you can ponder about starting a podcast actually get in the way of starting that podcast. So while there are many more steps you can take when starting your podcast, and with every suggestion I make there will be an equally viable alternative, the purpose of this episode is to give you only the information that you need to get started right now while also setting you up in a way that your podcast is future proofed. Meaning you don’t have to worry about starting wrong and having to fix it later or being trapped with a setup that you can’t easily change when you learn about other possible ways to produce your show. And one of the reasons I like that podcasting isn’t push button simple or a one-click solution… it’s a test. Jumping through the hoops to get started is a test, a test of your ability to keep a podcast active beyond its first few episodes. cause no matter what you think producing a podcast is going to be like before you start, its more. It’s more hard work, more fun, and more rewards. But you have to do the work and care about each step of the process to get to a podcast that others will care about as well. So if you’re ready to do the work and get your first episode online! Let’s go. Here’s a tip for working your way through this episode. Listen to a step, pause, answer the questions, write down your answers and then move on. If you take it all in from start to finish, you may not go back and do the work. Take it one step at a time and by the time you’re done, you’ll be ready to publish your podcast. Step 1: What are you going to talk about? Since this part of the process is highly subjective, the best tips and advice I can give you comes from my own experience with becoming a podcaster. It may sound really weird or funny to someone to even have a step that discusses figuring out a topic for your podcast. I mean why are you trying to learn how to podcast if you don’t even know what you would do a podcast about? Well, that was me back in 2006. I wanted to podcast before I ever knew what my podcast would be about. When I found podcasts in iTunes back in 2005, I was captivated by what I was hearing. Not that the content was good, the first podcast I found wasn’t good at all, it was downright bad and that is what stuck out to me. How they heck did these people have a podcast on a platform like iTunes that anyone in the world could listen to for free?? I had to figure out how this was being done. So, I investigated and found out exactly how podcasting worked. You recorded something, put in on the web, created an RSS feed and made that feed publicly available. Boom, you had a podcast and it was something that Apple would let you submit to iTunes. After listening to a lot of podcasts, cause that is what happens, find one, you usually see what else is out there, I like a lot of you, decided I wanted to be on the other side of the microphone. Well for me it was the microphone and the camera, sorta. So I could I decide I wanted to podcast without having a topic to podcast about?? Well I knew I was fascinated by the medium, the ability to have your own online, global show. I knew I loved sharing knowledge through teaching. I knew I loved shooting and editing video, my first podcast would be a video podcast because of that fact. And I knew I loved learning the tools of the trade which in podcasting meant everything from microphones, mixers, websites, html code, graphics and in number of other things the typical podcaster would have to juggle in order to get a podcast started especially back in 2006 when I started putting my podcast together. Now there are a plethora of services to help you but most people do not come to podcasting with the knowledge, background or budget to put together a team of people to help…we have to do it ourselves and that is part of the hard work I mentioned in the intro. You’re working hard right now, just by diving into this episode to figure out the basic building blocks of starting a podcast. So how did I figure it out? At the time I was thinking of producing a book based on my job at the time where I helped people on a daily basis. And while researching this, I read that you should write about what you know about. And when I applied that to podcasting, boom. I had my topic. But here’s the catch, I didn’t love my topic. I was working in a produce department at a speciality grocery store with every variety of fruit and vegetable you could find. So I had to stay sharp and knowledgeable about all the items I worked with and be able to answers people’s questions. So I learned a lot on my job every day out of a motivation to be good at my job and to not have to say, I don’t know when people asked. And if the answer was I don’t know, then I would go to the backroom and get the answer. I turned these questions and my answers into my podcast. But it was learning how to create a podcast that was driving me to spend every waking hour that I wasn’t at work or in school, learning how to podcast. It wasn’t the actual topic of my podcast. And in there lies a problem. It was built to last. That show went on for 20 episodes which for a video podcast wasn’t bad but what happened along the way is what I would want to happen for you the very first time… you find a topic that you absolutely love and you make that your podcast. See my goal with my first show was to learn how to podcast and while I loved sharing the tips I learned on my job, it was just the job that put me through college, that fed me, it wasn’t the job I did cause I wanted to be there in five years. That’s why I went to school, I was planning for what was next. Working on doing what I loved for a living, or in my case what I thought I would love. Hint: it wasn’t podcasting cause that wasn’t really a thing you just did as a career but how I ended up as a professional podcast producer is another story. But like a podcast, I was planning my life for the long term. Approach your podcast like it’s going to be around for 2, 5 maybe 10 years. In order to do that, you should definitely be starting by choosing something you want to spend all those years on. Ultimately my “doomed” podcast, succeeded in the goal I had set for it. I learned how to produce a podcast. And through that process I learned so much that I found my love of a topic,,,podcasting. So I ended that show and I started the one I would have started first had I known what I know now. I wanted to help others learn what I now knew and I never wanted to stop learning about podcasting. I consumed every single piece of podcasting knowledge I could find. I ran tests with my gear, I chatted with people on social about podcasting, I went to meet up groups specially for podcasters. It was podcasting info into my ears and eyeballs 24/7 cause I was so interested in podcasting itself, all of it. And none of it felt like work. Well only getting a few hours sleep and then going to my paying job, that was work but podcasting, it became a hobby. That one thing I wanted to fill all my spare time with. So if you’re thinking what to podcast about and don’t know or even if you do (my PPP example), then evaluate it from the perspective of interest. How interested are you in the subject that you are about to dedicate a large chunk of your time to?? If you have decided on a topic and now think to yourself, I like this topic but I don’t love it. I wouldn’t want to seek out information about it everyday or talk about it on social everyday for the next two years, then maybe you want to reevaluate the topic you have chosen. Try to chose from a place of pure passion for your topic but keeping true to this episode, this advice is more of an opinion, a suggestion coming from experience, my own, than it is a rule. All you really need to know here is that you need something to talk about. The question to answer before the next step: What is my podcast going to be about? And can I describe it in three sentences or less? What are you going to call your podcast? This can be a tough decision. To make it easier for both yourself, the listener and search, consider going the direct route. You know know your topic so name your podcast something that succinctly describes that topic. If you can tell me in 4 words or less the name of your podcast and I know what it’s about, you’re doing something right. That means you have really figured out your topic, have likely focused it enough to be specific even with a large niche and can relay that to strangers. One of my favorite tips when it comes to this is from Dave Jackson from the School of Podcasting and of course co-host of Podcasters’ Roundtable which is my other podcast in case you are new here…he says, go tell a stranger the title you are considering naming your show and ask them what they think that podcast is about. This will give you great insight into whether or not your title is misleading or portrays exactly the podcast you are going to create. Of course you can get creative with your name and the title may not tell you much if anything about the content of your actual podcast. This is fine but you’ll want to make it easier for yourself in places such as iTunes by adding a subtitle when you are filling out the title information for your RSS feed. For example, this podcast, TPS, in stead of just having TPS I would add a dash and chose a few words that described my podcast using keywords that give the potential listener and idea about the topic of your show. In my case, the would be and is, a podcast about podcasting. Or a how to podcast about podcasting. Just know that the title of your podcast along with other things such as your artwork which will likely also contain your title, in a lot of cases will be your only chance to get someone to listen. When someone sees the title and/or artwork they should know what’s inside, otherwise what would make them want to look any further into a podcast they had no idea what it was about. Don’t lose that chance. You’ll want to know if your podcast is going to be a solo show, just you. Or will you have co-hosts? Will you being doing interviews? If so, will they be in person or online via Skype of other software? How about audio vs video? Making decisions about your format, at least as it pertains to this podcasting 101 episode, will allow you to complete the next steps such as choosing the gear you need. Determining your hosting needs. Figuring how you’re going to record your podcast and various other steps you’ll need to complete before you can publish the first episode of your podcast. When it comes to audio vs video, I would say start with audio, it’s easier, more affordable and in most cases will attract the bigger audience because it’s easier to consume. someone can listen while they’e doing something else. They are freed from the screen. And in 2017, we’re at a point where the word podcast has become synonymous with audio. Another tip I can give about choosing your format, audio vs video, is to ask yourself if your topic is something that truly needs to be seen. Can your topic be communicated through words only and remember that the images that someone creates in their own mind are often more powerful than what you show on screen. This becomes a unique part of the story. If you topic absolutely has to have visuals then I would say consider starting a YouTube channel or think how you can tweak your topic to fit an audio format with additional, short videos that you can point people to. This can be a powerful dual format that can turn podcast listeners into YouTube subscribers and vice versa. But I would work hard to create and conquer the audio only format first. When considering to go solo versus having a co-hosts or several, you may already have an instinct about which direction you want to go or you might have started this idea with a friend or colleague and in that case you already know which you want to do but there are advantages and disadvantages to both. In a solo format you have all the control. All content goes through you and you only. In theory you can move faster and rely on your own schedule. But having a co-host can be faster if you share the workload. It can also be slower if you have to align two or more schedules. And if making money is a goal, things get weird when the money shows up. You’ll want to draw up some kind of contract so that you know exactly everyone’s responsibilities and share of revenue before problems arise. Also include ownership of the podcast. Remember this is hard and there is likely to be one of more people leaving the podcast at some point. Don’t settle these issues when they come up, deal with them before. The question to answer before the next step: Audio or video? Solo or cohost? Interviews, if yes, online, in-person or both? I’m not talking about gear here. Not yet. In this step, I want you to find the place you’re going to record in. How do we do that? Ask yourself, is the place you have in mind quiet? In other words, is there a lot of outside noise from traffic, construction, dogs barking? If so, is there somewhere you can go where you hear less of this? Maybe a basement, a top floor, in your car, yes I said a car, in a pinch they can make a great podcast studio. Perhaps choosing a different time of day or a specific day of the week will help alleviate many of your external noise issues. How about internal noise like kids playing, a heating or air conditioning unit that you can’t turn off like in an office building, loud computer fans, or anything else that you can hear. When you are evaluating your space, if you have the ability to choose where to record, take some time to listen, and I mean really listen. Close your eyes and sit in the space for ten solid minutes on different days at different times. Take notes, What do you hear? Is it something that can be turned off or moved? Would a different time of day lessen the sound. Note that it doesn’t have to be dead quiet either. Setting up your microphone properly and using it correctly can eliminate some of the more subtle noise issues. But choose the quietest place you can find. When you find that place, go to the spot in the room where you think you’ll be recording and start talking. What do you hear now? Does your voice bounce off the walls, sound hollow and echo-y? Maybe you can’t tell. If not, go into a closest filled with clothes and talk. Now close your eyes and listen when you talk. Listen to how dead and almost dull the audio sounds. All those clothes are absorbing your voice so that none of it bounces off of hard objects and returns to you, making it sound like you’re in a very large room with nothing in it. Talk to yourself in the closest and while you’re standing there feeling ridiculous, listen to what it sounds like. Then go back to where you plan to record and compare it. You can use your phone as an audio recorder here. Try holding the phone about a foot away from your mouth and say a few sentences into an audio recording app. Do this in both the closet filled with clothes and the room you want to record in, your future podcast studio. Now listen to both recordings with headphones on and see how your voice sounds in each space. If the space where your studio will be is really echo-y and reverberant, you’ll want to treat the place with some items that will do the same thing the clothes in the closest were doing for you, absorbing the reflections of your voice off the walls and returning it to your ear creating a hollow sound, a less pleasant listening experience. The good news is it doesn’t have to be as dead as your closet. You want the sound to retain some life which means allowing some level of reverb to exist in the space. So adding things like furniture to provide more deflection of the sound waves, rugs, curtains, pillows etc to absorb the sound, these things will help create a space that sounds better when you speak into your microphone. Also try different spots in the room if that is an option available to you. Recording from the center of the room could sound much different than recording in the corner. Pick the spot that is more forgiving. Another tip to help you evaluate the reverb in the room is to make a third recording in the bathroom or kitchen, spaces that tend to have mostly hard, reflective surfaces. Compare all three recordings and aim for a sound that is less echo-y than the bathroom or kitchen but not as flat as the closet. These different spaces should help you get an idea for the different ways your audio will sound in different spaces. The question to answer before the next step: Have I found a space that is quiet enough and doesn’t have too much reverb? If the answer is no, keep looking for an alternative space or send me your three recordings via ray@thepodcastersstudio.com or the contact page on TPS.com and I’ll take a listen to how the space you have might be improved or if it’s ready to go as is. If you think I’ve given you a lot to think about already, well now we’ve really hit a section where I can spend hours dolling out advice, but I won’t. Remember the goal here is to get started so I’m just going to give you some direction on gear so that you can go buy what you can afford now and start using it to record a quality sounding podcast. Microphone, get one. I’m kidding but only kind of. Most of us already have a microphone. You might have used the one on your phone to record your room samples that I talked about in the previous step or you have one built into your computer. 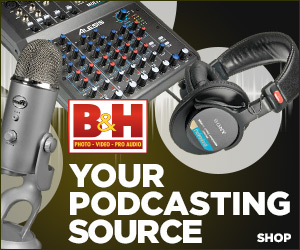 While technically you could use these, my advice is to get a dedicated mic for your podcast. One that will perform better in a typical podcast studio which is often a space in your house or office. Let’s consider a few things about your microphone. First, ask yourself what your comfort level and interest in really working with the gear is? If it’s low, let’s get you into a USB mic that works great right now and also allows you to grow into something more advanced should you decide later that you want to do more or add more pieces to your studio. This is also going to be the budget option at around $60. If that sounds like too much money, it’s not. Easy for me to say but it’s all relative. For you, from where you sit right now, that may be a large investment but remember I talked about how much work you’ll put into your podcast to make it good, you don’t want all those hours of hard work to not have the same level of quality from your audio. The truth is, these days people have the choice to listen to a lot of podcasts and certainly they will hear some of the best. These will all come with high quality audio and if they then find your podcast and the audio is not at least clean and easy to understand, you’re less likely to retain that listener. If when your content is stellar, you don’t want people to be distracted by the quality of your audio. Don’t let the tech get in the way of the content, I like to say. When you see a great movie, you don’t notice that editing and that is because it’s done well, with attention and an investment so that you are not taken out of the story. You’re also telling a story. Don’t distract from that story by skimping on the number one piece of gear that makes you a podcaster, your mic. And trust me, when you look back and maybe more importantly listen back to your podcast a year from now, that $60 will seem a lot cheaper. So the ATR2100 is the best quality to budget ratio currently in a podcast microphone, check out my gear page. If you want a more advanced setup or a more traditionally professional microphone, get a DBX286s, some kind of audio interface if going into the computer and/or an audio recorder along with the mic of your choice. For podcasting, in addition to the ATR I like the PR40, RE320 and RE20, SM58 and the SM7B. These are mics I have more experience with, there are thousands more to choose from or you may have one you already like. Mics to avoid would be headset mics and microphones built into your computer as I mentioned or the mic on your earbuds. We’re really into territory where there are many “yeah buts” to these suggestions but the purpose here is not to debate or belabor this decision and if you know the questions to ask then you probably have a decent handle on getting some other gear that you prefer so go ahead and make those purchases or get in touch with me to ask what I think about your choices. If you are going to be mobile, recording a podcast in various locations, I’d say get an audio recorder. They can be easily transported and can record multiple in person microphones (H5 for two people, H6 for 4 or Tascam DR60D for 2 people, Tascam 70D for 4. Choose based on your budget and the form factor you prefer. All of them will produce good audio. In fact this is how I like to record even in the studio. I go from microphone to preamp to recorder and edit that audio in software afterwards. If your answer to step 2 was having multiple in-studio hosts with also taking calls via Skype or phone, then get in touch with me cause you are into some special territory when it comes to gear and you’ll have some specific requirements that will likely include a mixer. The question to answer before the next step: What microphone will I use to record. If you already know then you are ready to move forward with your setup. If you don’t know, get the ATR2100 and use it via USB into your computer to get started. If you have more than one person in studio, get in touch with me. OK, you have some gear to start recording your podcast, now you need some software in order to do a little editing of the audio and piece together the various pieces that will make your audio into a completed podcast episode such as intro music, sound effects, ending music, transition sounds, etc. Whether you use any of these additional elements will be up to you but at the very basic level you’ll want to cut off the ends of your audio where there may be some dead space before you started recording the actual content and you’ll almost certainly have some spots within the recording, places you want to cut the audio and put it back together for example in the case of ums, ah’s, long pauses, outside noises, etc. Tip here, use long pauses to avoid the ums and ahs which are caused by your mouth getting ahead of your brain. These gaps in the recording will be easy to spot and thus very easy to edit. Beyond that you might have more than one person on your show whether it’s you and a co-host or you and interviewee. In these cases, software will allow you to put each person on their own audio track and edit as needed this includes matching levels and other processing such as compression, EQ, noise removal and so on. All relatively quick things you can do to give your final audio the polish it needs to be a great sounding production. But if you find it’s not quick for you or not something you want to do but still want better results, I have a drag and drop software solution for those of you who want the benefits of post processing but don’t want to learn how to do it. When it comes to audio editing software there are free and paid options. That will get the job equally as well in terms of final quality but how these apps operate is the difference in price. For example, I use Adobe Audition, since it’s a subscription service, it’s one of the pricier options, I get it as part of my creative cloud bundled membership you can also get it as a standalone app for less per month, but I love working in Audition because it allows me to do all the things I want and do them efficiently. FX are built in and robust and additional third party effects are easy to add. For example, I use and love Adobe Audition for all it’s powerful features and ease of use, it has a great user interface that allows me to edit in the most efficient manner possible, but there is also Audacity which is free and can produce equally good results. I just find it much harder to work in, not as visually pleasing and you can’t work with effects the way I like to such as previewing the effect it will have on your audio in realtime. But both of these pieces of software can produce great sounding audio. The quality of your audio will not be determined by the editing software you use so much as how you use it. Also, how you record your audio and the gear you use will both go a long way to producing a final result that sounds great. The software is how you put together that audio and make it into a finished podcast episode. A great middle ground between the more expensive Audition and free Audacity is Hinderburg Journalist. I used it for this episode. Despite normally using Audition to edit my episodes, I edited this 101 episode using Hindenburg Journalist, which I recently purchased, in order to demonstrate that this is a great app for editing podcasts. It’s paid but not overly expensive and what you get for that money are some great automated processes such as leveling, to make your audio a consistent level and loudness normalization to ensure that the final level of your audio meets current standards for web delivery and is reproducible from episode to episode to give your podcast a consistent level throughout your entire library. You can also connect it to Skype and record interviews right inside the app. All with the visual appeal and ease of use that Audition provides. So there’s three options to explore and the good news is these are all available for both Apple and Windows users. My advice to you here is to try them out and choose the one that you like best. Base your decision more on ease of use and features than budget because in most cases people tend to stick with the audio editing software that they learn on. In my case, I migrated from an old all called Soundtrack Pro to Adobe Audition but that required a new learning curve that I would have preferred to avoid and would have if STP hadn’t been discontinued. That piece of software that I mentioned that would allow you to simply drag and drop your audio file and get automated post production, that’s called Auphonic. This is a fantastic addition to your software tools regardless of your technical skill level. Auphonic is an app that will handle several key elements of post production for you. I often use it to give my final audio that last piece of polish. You can drag and drop your edited audio file into the app or upload your file to their online service and it can level the audio for you, because you want the level, the volume of your audio to be consistent throughout your episode as well as between multiple hosts or you and your interviewee. As well as it can do some noise removal and handle the process of loudness normalization which I mentioned earlier. And many podcasters can get away with just using their free offering which is two hours of audio content per month. My personal favorite is the desktop app which is about $80 one-time purchase. I can open this app at anytime and simply drag and drop my files onto it for easy automatic processing. You’ll still want to bring your processed audio into an audio editor and piece it together, doing the cutting I mentioned previously. Another piece of software that some podcasters will want is an app to record Skype. Whether you are doing a show with a remote co-host or interviewees, Skype recording software is an easy way to capture those conversations with some added advantages. The biggest of those being the ability to capture separated audio tracks. Apps such as Call Recorder for Mac and Pamela for Windows, will record each person’s audio (up to 2 people, your side and the other side) onto it’s own audio file. This gives you much more flexibility in post production to process each file individually and remove parts of one person’s audio that you might not want in there such as a sneeze, cough etc. And if you go with Hindenburg Journalist, the ability to record Skype is built into the Pro version. The question to answer before the next step: What software am I going to use to edit my podcast? Before you submit your podcast to the iTunes store or now Apple Podcasts or really anywhere, you’ll need some artwork that represents your show. You can make this yourself or have someone else do it, but here are a few best practices to follow when creating your show logo. Create your artwork in a way that it can be edited at any time in the future. This means using a program like Photoshop so that you can reopen the original file and make changes should you need to. Over the years, Apple has updated show artwork resolutions. Currently at the time of this recording the maximum size is 3000×3000 pixels with a minimum of 1400×1400. Check the specs via the Apple Podcasts spec page linked in the show notes to get the most current dimensions for whenever you are listening to this. Additionally, this is also the artwork that will live inside each episode audio file or the mp3 file’s metadata (which I’ll talk more about later) and thus you should have several version of the same artwork in different sizes. For the mp3 file artwork, which you’ll insert into each episode file, when I get to the part about creating a podcast ready audio file, you’ll want to insert an image no larger than 200KB (kiloBYTEs). I use a 600×600 image that is less than 100KB in size. The smaller the file size the better because this file has to load before your episode starts to play. The larger this file, the longer someone has to wait between pressing play and hearing your episode amongst other potential issues. In terms of how your logo looks, that’s up to you but make sure the text you include is readable even a very small size like 150×150 because this is how it will display in iTunes when people are browsing podcasts. And your artwork may be the only chance you get to have someone take a look at your podcast. I say look because they might go from seeing your artwork which should give them some indication of what the podcast is about either through the name, subtitle, or visual and then click-through to read your description which should provide a detailed overview of your podcast and maybe THEN they click play. I like to have my podcast title and subtitle, a three word sentence that lets someone know what the content of my podcast is about, right there on the artwork. And you’ll definitely want to follow up on the specs page I mentioned because there are various other tech specs that your artwork should adhere to if you want to be compliant with Apple and have an opportunity to potentially be feature in the podcast directory. I won’t go into graphic design but make it look attractive, clean and again, easy to read. Apple claims that they won’t feature a show with bad artwork however I’m not entirely convinced this is the case based on what I’ve seen. But “bad” or good is very subjective. That said, get the best artwork possible. The questions to answer before the next step: Who is going to create my artwork and do I have the spec page bookmarked for reference? We talked about the space your going to record in and you now know where that is, now you’re ready to press record and start talking into a microphone. Let’s talk about some basic mic technique and setting levels to get a good quality recording for the edit. Along with having a relatively quiet and not too reverberant space to record in, recording good dialog means getting the microphone close to the source (your mouth) without creating issues such as popping noises created by the air leaving your mouth, lips smacks, sibilance and so on. These are not things you want to try and fix after the fact and in many cases some of these issues can’t be fixed. When you’re setting up your microphone in front of you, make sure you are in a comfortable position and get within a few inches of the microphone. Turn the microphone so that you are not talking directly into the front but instead, the microphone is pointing across your mouth. You can draw a straight line from where the mic picks up the audio (check your mic for it’s polar pattern and if you need to talk into the top or side) and imagine that line going past your mouth instead of coming into contact with your mouth. Essentially placing your mic about 45 degrees off axis so that the air leaving your mic passes in front of the mic capsule where it picks up the audio instead of that air going directly into the mic. Since you are close to the mic, that air can cause noticeable pops known as plosives in your audio, something you don’t want. Along with this, use a foam windscreen and/or a pop filter. Something that gives added protection between your mouth and the mic, to help catch that air and disperse it before it can become a plosive in your audio. Test out different distances, 3 inches out to 6 inches. Find that spot where you don’t have any issues with air going into the mic and your audio doesn’t sound muffled as if you were talking from behind a closed door. This is what “muddy” audio sounds like. You want a clear, sound as if you were sitting right next to the person you were speaking to. This is also where a pop filter can be really handy beyond protecting against plosives, especially when you are new to talking on a microphone. When you find the best distance for your voice and microphone, set you pop filter at that distance and you’ll have an easy reference for always staying within the proper distance to get a consistent level and best performance out of your mic. Once you have this basic mic technique dialed in you’ll want to get your audio levels in your recording device or software set properly. Some basic gain staging. For those of you with the USB mic option I talked about, the ATR2100, this will be as simple as setting the level inside your computer. If you are using a mixer, that will be in the video as well. But what you are looking for is a consistent level based on the audio meters of your recording source that sees the loudest parts of your speech maxing out around -6db but is probably closer to -12db on consistent basis. So whether you are using an audio recorder or software, speak into your microphone from your established distance and speak as loud as you will on a podcast recording, a good way to do this is to just record a test episode. Write out the first few minutes of your first epsiode and speak it into the mic. As you do this, watch the audio meters and see where the peak of that meter is hitting on the db scale making sure to stay less than -6db but adjust your level as needed to keep the meters bouncing between -18db and that -6db. To be safe you can aim to average between -18 and -12. As long as you are anywhere near that neighborhood on a consistent basis, you’ll have some nice audio to work with in post production. And of course it fall below those levels but just aim to dial in your mic levels so that the meters are in this range while speaking. As a bonus, also pay attention to what the meters are doing when you are not speaking. This will change for everyone based on the resolution of your audio meters, aka how many db’s it displays but when you are quiet, make sure the audio level is not active above -50db. Ideally I like to see nothing active above -60db. This means you are recording in a relatively quiet environment and the difference in level between when you are speaking and when you are not, is called the signal to noise ratio. You want a lot of distance between your speaking level and your non speaking level so that your recording is nice and clean. The questions to answer before the next step: Do I know how to best use my microphone and have I established good recording levels? You’ve recorded the audio and edited it into a finalized episode, now let’s make sure it’s technically ready to be a podcast. What will make it ready to be a podcast? It’s size, file type, metadata and some additional tech specs covered in my video about how to complete this process. When it comes to file size, your goal is to keep it as small as possible without significantly degrading the audio quality. My ideal bit rate is 96kbps joint stereo. This provides me with a final size that is friendly to the end user in terms of required bandwidth, fast download times without any noticeable quality loss. That said there are plenty of times when I use 64kbps mono, most often when the episode is 45 minutes or longer, again to keep that file size friendly to the end user (everyone has different bandwidth limits, remember we are a global medium) and this reduces your file hosting costs. At this point, all of this is not likely to make much sense but and the video will help walk you through this process and clear this section up. This is also the step where you will insert metadata or information such as title, podcast name, your name, artwork etc into the mp3 file so that certain apps and players will display the specific information about your podcast that you want them to. Kinda like creating a profile picture at any social media site you join. And I mentioned mp3 file, that is the most common standard used for audio on the web so you’ll want your final audio to be an mp3 encoded to these various settings in order to make sure the file plays properly no matter how somebody finds it. The question to answer before the next step: Do I know how to create a podcast ready mp3 file? Hosting audio – where do you put it online so people can get it? Once you have your completed, podcast ready mp3 file, you have to make it available online so that people can download it, play it in an app or find it on your website. This is another chance to not only make several steps in this process much easier (technical requirements for hosting a file, creation of an rss feed, stats) but to also ensure that your podcast is reliably available, up to date with podcast directory specs, downloads fast, is easily shared, properly measured, well supported, future proofed and leaves you in control. Get some paid hosting. I’m not going even dive into all the reasons against other options you may have heard like hosting it yourself or any one of many free services. Do what’s best for your podcast and make the monthly investment in one of the two best options available year after year since podcasting has started; Libsyn or blurry. Personally I use Libsyn for all my podcasts but take a look at both, ask questions and chose the one that is best for you. If you use promo code: podcasthelper when you sign up at either one, your first month will be free. And that’s just a bonus, it’s clearly not the reason to chose either. These are the two I recommend because after 10+ years of running various podcasts and helping others with theirs, I know these are the two best for most podcasters. The question to answer before the next step: Which hosting service am I going to use? 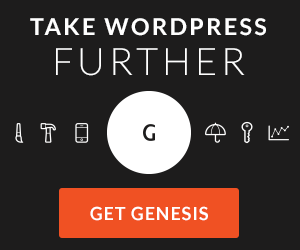 Now that you have some hosting, you’re ready to create your rss feed. We’re just about done and because you chose good hosting, this final step is pretty easy. If you are on Libsyn, simply login to the dashboard and fill in all the boxes under the destination tab and your feed will be ready to go. If you’re using blubrry, you are likely running your own WordPress website and you’ll create your rss feed using the awesome PowerPress plugin. This is a free WP plugin and something I’d recommend using for your WP site regardless of where you host your audio. Again, creating your rss feed is as easy as filling in the feed info such as title, author, description, artwork etc. The question to answer before the next step: Have I setup my RSS feed? While not required to have a podcast, a website is a must have for any podcast IMO. It’s where are people going to go to get all the info about your podcast. Every podcast needs a home, that centralized place that contains all the information that isn’t necessarily in each episode such as detailed about pages for the host, a contact page, social links, additional content like a blog, images, videos, show notes and embeddable players, complete subscription options and anything else you want to enhance the engagement with your podcast. This will also serve as another way of being found. By having a well made website, filled with good descriptions for each episode, Google and any other search engines will know you have a podcast and can point new listeners towards your content. So having a website for your podcast is a step your shouldn’t skip. That said, if setting up a website is going to be too much of a barrier to getting started, you can add one later, build it alongside your active podcast. The key is to, at a minimum, get a domain. A url for your show. Back in the section about choosing a name for your show, I mentioned that one of the ways to narrow down your choices was to see if the .com is available. Regardless of what you name your show, go get a domain that goes along with the name so that it will be easy for people to remember, cause they certainly know the name of your podcast, and you can easily point that name at a free blogging service which can act as your temporary home on the web for your podcast. Or you either of the two hosting options, Libsyn or blurry provide you with basic websites that you can then move off of if you decide you need more control. In any case, having a domain that you own will allow you to easily move your website without the audience being affected because they will be going to the same url. And if the name of your podcast is not available as a dot com, feel free to get a domain with a different extension, you just want something that you own. The question to answer before the next step: Did I purchase a domain name? You’re all set. You’re ready to put some episode online. Upload your final mp3 file to your media host, Libysn or blurry and press publish! Congrats you have a podcast online and publicly available. If you have a website, make sure the episode can be found there and has an audio player that someone can use to listen to your podcast right there on the page. Both Libsyn and blurry provide these players for you. The question to answer before the next step: Have I published my first episode? Now that your podcast is available on the web, you want to get into podcast directories, the place where most people will find and subscribe to your podcast. The #1 place to be is of course in iTunes/Apple Podcasts. For most podcasters, having your podcast in this one directory will account for over 75% of your listeners. One of the reasons is because once you are in Apple Podcasts, you are also available in dozens of other podcast directories automatically. These other directories fill their library with whatever is submitted and accepted into Apple Podcasts/iTunes. So this is our first stop. Beyond that, there are 3 other directories I think you should submit to right away and the rest can be added as you go. Check out the show notes for this episode either at TPS.com/101 or in the app you are using to listen to this right now for the link to my infographic and how-to information about submitting to these various directories. To get into Apple Podcasts/iTunes simply go to podcastsconnect.com, create an account if you don’t have an Apple account already and submit the RSS feed that you already created. You can watch my video on this step for help navigating this process. The question to answer before the next step: Did I submit my podcast to Apple? At this point, all that’s left to say is congrats. You’re a podcaster. You made it this far which means you’ve passed the first true test and are ready to start cranking out episodes, on your way to episode 100. Dream big. You can do it. Sign up to the TPS list and never lose contact with the show. If you want the best podcast media hosting, these are the two services I recommend. You can use *promo code: podcasthelper on checkout to get your first month free. I post lots of behind the scenes content and gear tests between videos. Follow me at your favorite! *all links should be considered affiliate links. Using these links helps support this content. I always encourage you to shop around for the best prices at the time you are viewing this. You can read my ethics statement via https://thepodcastersstudio.com/ethics. Thanks for the support! 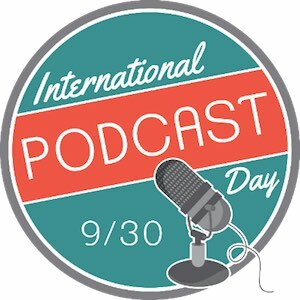 Full-time podcast producer and host of The Podcasters' Studio and Podcasters' Roundtable, I enjoy sharing my ten years of experience making podcasts to help others improve or start their own show.